When it comes to GPU manufactures, MSI is a company that buyers can rely on. Because MSI has always been known for their top notch quality as well as design. 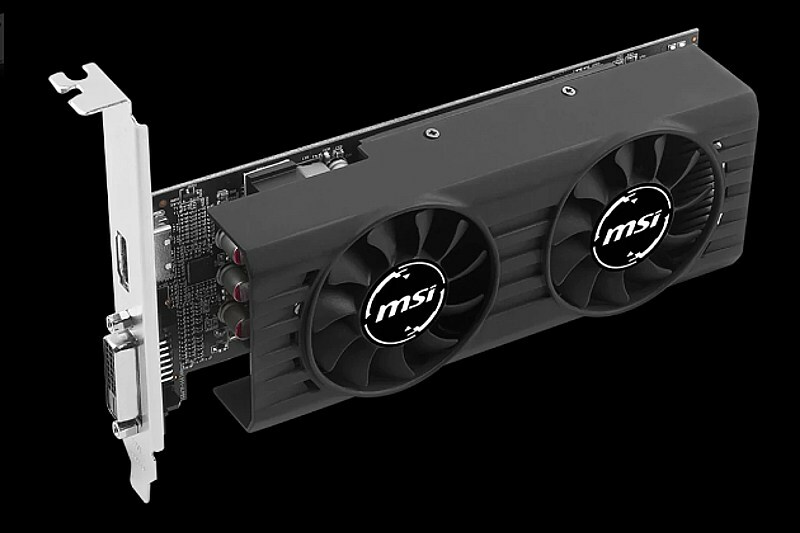 MSI just launched two models of the AMD RX 460 cards in their low profile lineup cards. For those who don’t know what a low profile card is. It’s basically a card which is designed for Mini ITX cases, which do not have a lot of room inside it. For these kind of cases a low profile card is the only solution to fit in. Because there is no a lot of space in order to adjust a card with a huge cooler. AMD RX 460 Is from AMD’s new Polaris architecture which is said to have better performance under less power consumption compared to their previous generation of GPU’s. The RX 460 is so power efficient that it does not require a PCIE connector to power the card and can run off of the power provided by the PCIE itself. The two versions that MSI is launching of the low profile RX 460 are known as the MSI Radeon RX 460 4GT LP and Radeon RX 460 2GT LP. Both of the cards will have the same specs and will run at a core clock of 1090 MHz and a boost clock of 1200 MHz. The only difference between the two cards is the amount of VRAM that it offers which is 2GB or 4GB as mentioned above. If you are someone who wants more VRAM, than the RX 470 or 480 is a better choice for you. As both of the cards are from the AMD’s Polaris lineup, both of them supports DX12 as well as Vulkan, while only consuming 75W of power. When it comes to ports the MSI RX 460 offers one of each port which includes a DVI-D and HDMI port. The price on the two models is not confirmed by the company yet, but it should be somewhere around $109 for the 2GB model and $139 for the 4GB model respectively.